Why A Book About Online Reputation Management? 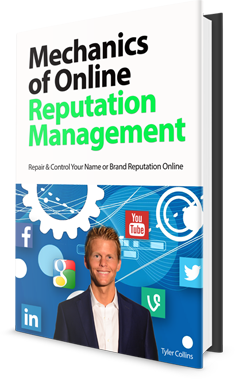 Why Does This Online Reputation Management Book Exist? Throughout this work you will encounter a smattering of validating reasons this book is important for businesses and people. Paramount to all valuations, it is designed to fulfill the promise of giving back power and control to individuals and businesses seeking to influence their digital presence and reputation online. Every day, negative search results ruin careers, families, and friendships. They impede business growth, present unforeseen liabilities, and make otherwise normal professional relationships difficult. Negative content can destroy employment opportunities, and has the cunning ability to haunt individuals in ways that leave people feeling powerless, hopeless, frustrated, and tormented by the radically ambiguous, seemingly impossible landscape of digital search. In order for any individual or business to recreate their reputation in online search, it is vital to possess a deep and thorough education around how search engines work, and the mechanics involved in precisely what is required to influence search results. Search optimization and online reputation management can be broken down into a science, and this book provides a surgical approach to cleansing and controlling exactly what displays for any given search query. Both businesses and individuals need online reputation management. Often, a business unknowingly suffers from online reputation problems. Sometimes, individuals experience the same. Always is there an opportunity for every person and business benefit from a better online reputation. Most online reputation management services and recommended repair solutions available today are insufficient for effectively eliminating negative results and producing the desired outcome in search. Among the players in the reputation management industry, there is a lack of true knowledge and experience, and a general lack of integrity when it comes to making promises about outcomes. Outcomes that people and businesses are willing to spend good money to achieve. Outcomes that can dramatically impact the course of history for a person or company. This book is different. It covers a plethora of well-researched, battle-tested scientific truths about online reputations, search engines, and the weight certain actions have on the online reputation environment. We will shine a bright, reality-checking light on the problems and opportunities, with plenty of actionable instructions to re-imagine and re-create any entity’s digital footprint. Finally, this book exists for the purpose of knowledge sharing. If knowledge is power, then the secreting or hoarding of knowledge may be an act of tyranny camouflaged as humility. Inversely, generosity is its own form of power. What you do not know you cannot use, and the information contained in this book, formulated carefully throughout over a decade of testing and implementation, instantly becomes more powerful the moment you have it, and use it.